The memorable night of Northern Lights ended with a final outburst sending blue curtains into the dawn twilight. 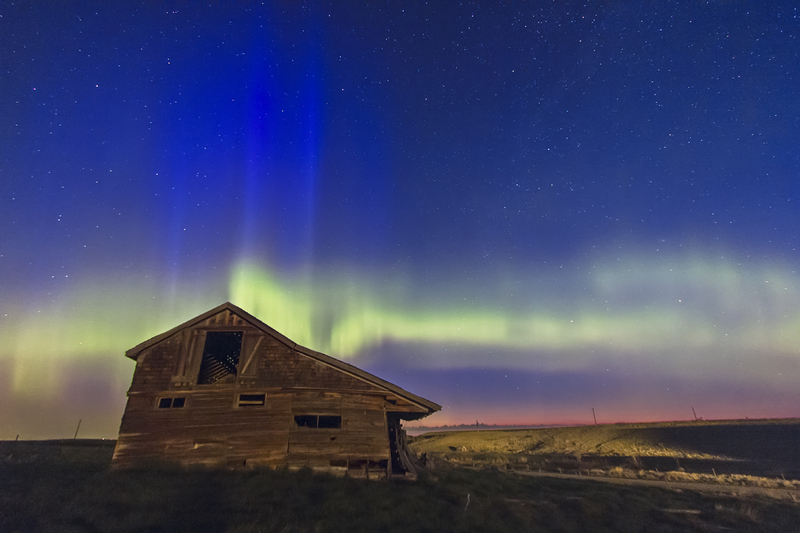 This is a frame from May 17-18, taken near the end of my time-lapse sequence, when the aurora kicked up again in intensity and shot towering blue curtains into the northern sky. The pink glow of dawn tinges the northeastern sky, bookending the sequence of 1200 frames and 27 gigabytes of images. Good thing I had a large capacity memory card! Each shot was 11 seconds at ISO 1600 to try to freeze the moving curtains while still maintaining a good level of exposure. Here, lights from a passing car at 3 a.m. illuminated the old barn. As a postscript, I also note that this was my 300th blog post since beginning The Amazing Sky in February 2011. I hope you’ve enjoyed the views of the sky I’ve been able to publish over the last two years. Here is a link for you to our first ever attempt at photographing a Northern Lights display & a time lapse video. It is short and a little rough, but I suspect the quality will improve over time. Thank You, for the great tips & instruction, without your teachings, we would not be this far along the trail. Well done. 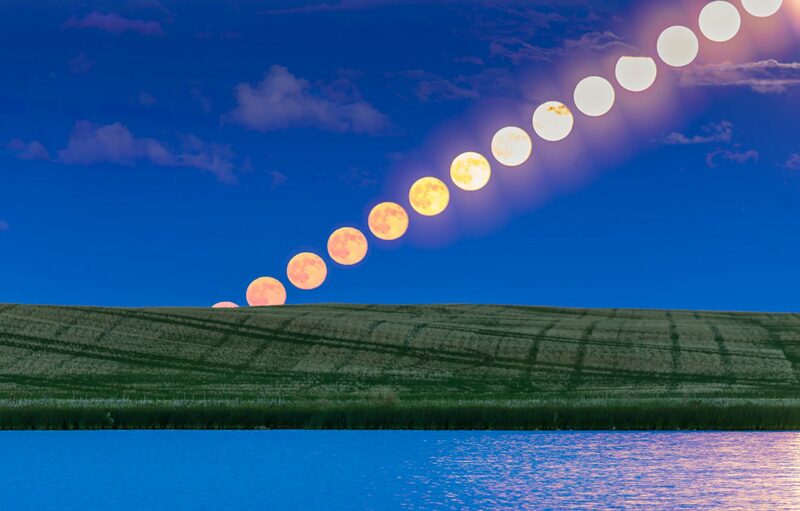 A great first time lapse. You’re on your way! Hi guys – If you got some pix on-line let me know where they are. I think lots of people got good shots of this display, being nicely timed for a Friday of a long weekend. Very nice work Alan. It seems many people were out this morning, all doing the exact same thing, taking pics of the Northern Lights. I was just east of Gleniffer lake between midnight and 5 AM, attempting my first time-lapse video shoot. I was at All-Star this afternoon, visiting Bev & Ken, where I met another photographer who was at the West end of Gleniffer Lake, sharing the experience. After taking your course, & using the 8mm Fish Eye Lens, even my pics now look good enough to share. Thank You for sharing your years of experience with us all. It’s greatly appreciated. See you in June, at S.A.I.T..
Clear skies & fair winds…. Great photos. I was a few hundred kilometers north of you last night with my camera and it was spectacular, probably the nicest display that I’ve seen in years.